An emergent reader can be about good nutrition, and this is one of them. 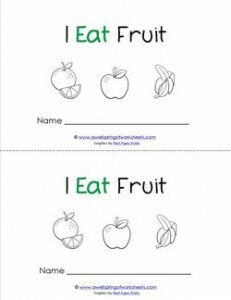 It reads “I eat …” and names apples, bananas, cherries, oranges and watermelons. Please go to this page to see all the emergent readers sight word booklets in this set.